[UNIT] are booking performances for 2019 – please get in touch via our Contact page for more information and if interested in hosting. [UNIT] is a collective of artists working to create immersive audio/visual music and video performances and installations. Sellout debut performances of [UNIT] were held at St.Mary’s Works, Norwich, in September 2016, and in January 2017 at Colchester Arts Centre to great response. In January 2019 [UNIT] undertook a week long residency at Norwich Arts Centre, culminating in an exhibition/installation and six live performances to sellout audiences. 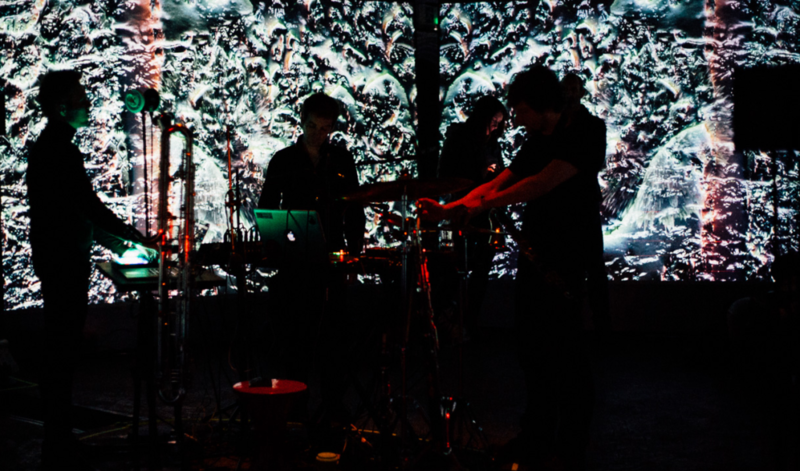 [UNIT] has been supported by Norwich Arts Centre, Norfolk County Council, Arts Council England, Escalator Music, Electronic Sound Magazine, Watershed Studio and The Space.